It took us a while to sit up and take notice of Suzuki. Suzuki has built cars since 1955 but Australia only took notice after 1975 when a tough two-stroke off-roader made just for us was released. These early LJ50s are now hard to find but 1970s-80s LJ80 and Sierra models have a following and can cost $4500-7000. Also gaining momentum is the Mighty Boy pickup that was a joke when new but a bit of a ‘cult car’ today. Still cheap enough though at under $5000. Production car races in the late-1980s brought Suzuki’s Swift GTi to prominence, with suggestions it was the ‘new Mini Cooper S’. 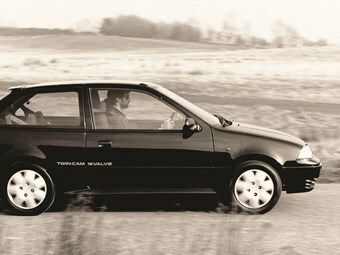 Excellent early GTIs make $6000, later SF versions $8-10,000.